As a Florida turned Wisconsin girl, one of the things I’ve grown to love most is the change of seasons. I look forward to layering on the sweaters and ankle boots in fall and switching out to sundresses in the summertime! Living in the Midwest has taught me a true adoration for the beautiful surroundings of the state. 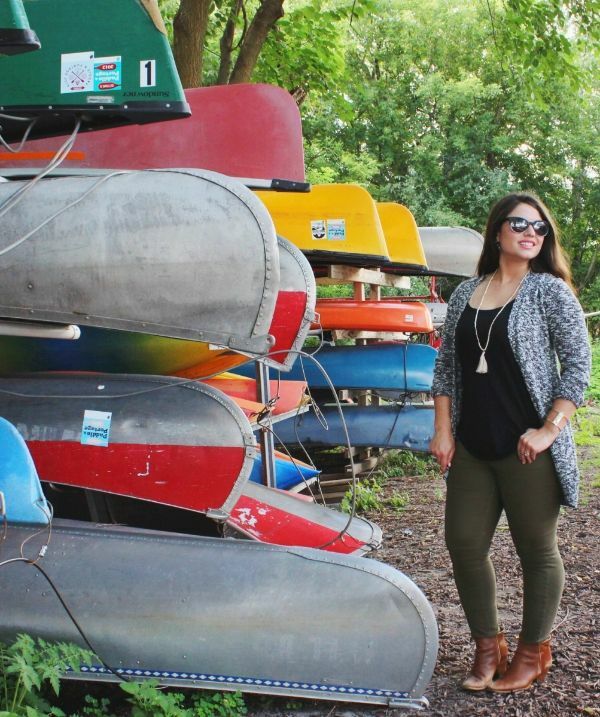 I’m so excited to partner with Old Navy to share a look inspired by adoptive home state of Wisconsin. 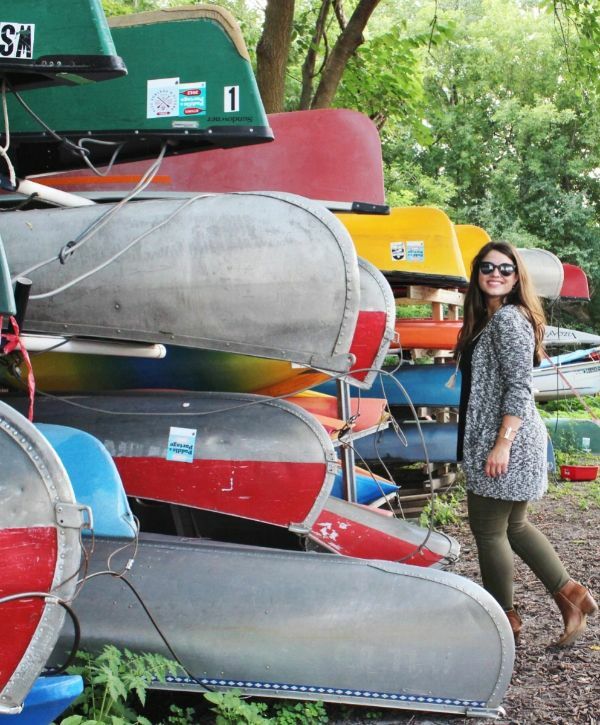 People here love the great outdoors- whether it’s grabbing a local craft beer by the lake and watching the sunset or spending the weekend wandering on a hike through a state park. Versatile pieces to fit that lifestyle are a must. Old Navy is my go-to stop for style that fits every season! I’ve styled a look featuring a few of my favorite pieces from their fall collection. To see more State style visit specials.people.com/oldnavy/50styles50states & submit your own look using #50Styles50States & #OldNavyStyle. The Midwest landscape has a huge influence on my Wisconsin wardrobe. I gravitate towards earth tone neutrals inspired by the forests that spread across our state. 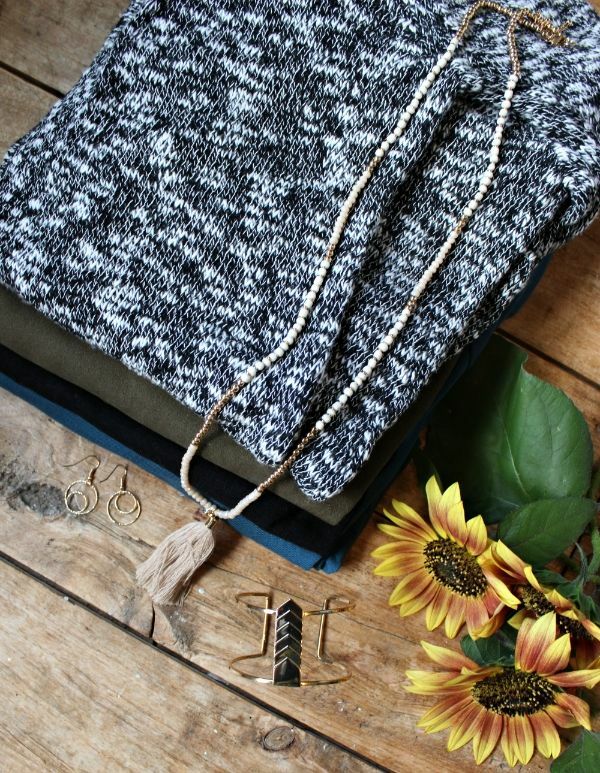 I love pairing cozy sweaters with skinny jeans & bohemian inspired accessories. 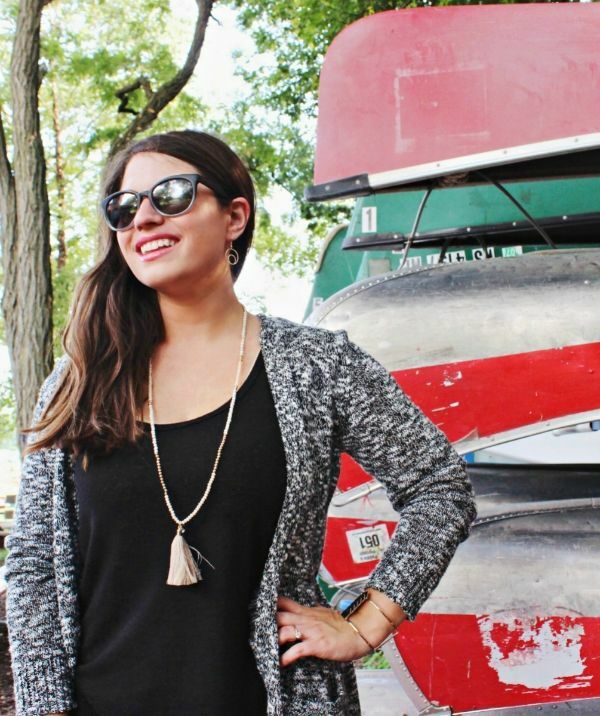 This swing cardigan is perfect for transitioning my look from summer to fall with lightweight layering. Old Navy’s September collection is all about juxtaposition. Mixing up texture, silhouettes, and bold colors is my favorite way to welcome fall fashion into my closet. I love that the Midwest fashion belief is that you never need to sacrifice comfort for style. The two definitely go effortlessly hand in hand in Wisconsin! I’m looking forward to starting fall in style thanks to these perfect mix & match pieces from Old Navy. What styles are you loving for the new season? A special thank you to Old Navy for sponsoring this post! This is such a gorgeous outfit, and such a great idea from Old Navy! Hey, I'm blogwalking in here, would you visit mine back? Could you let me know where that necklace is from? I had a similar one in black that I lost and I miss it so! Aw, you're such an incredible in your fashion style Lauryn. I love your cardigan color and style. It is so perfect match for any dress, pants, leggings, jumpsuits and rompers. Your wedge and boots are so cute too. I love also how the way you carry a different kind of outfit. Surely you are the fashionista expert. Thanks again for the beautiful update here. Anyway, if anyone of you guys wants to look for different cardigans design, visit also at https://www.boutiqueken.com/cat/women-sweaters. Thanks a lot for fresh ideas personalized writer agencies big paper writer com. I believe that they helped many people to find a great present for the New Year holidays. Thanks.